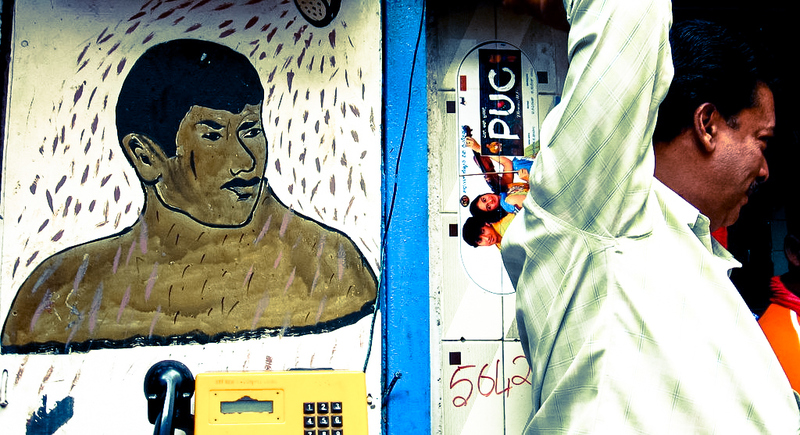 Every Indian city and town has its own gang of signboard painters who are slowly disappearing. Over the years, each town and city has developed its own style of communication art that reflect the local taste, traditions and likes of the people. Bangalore in South India is no different. Like every other city its has its own style. 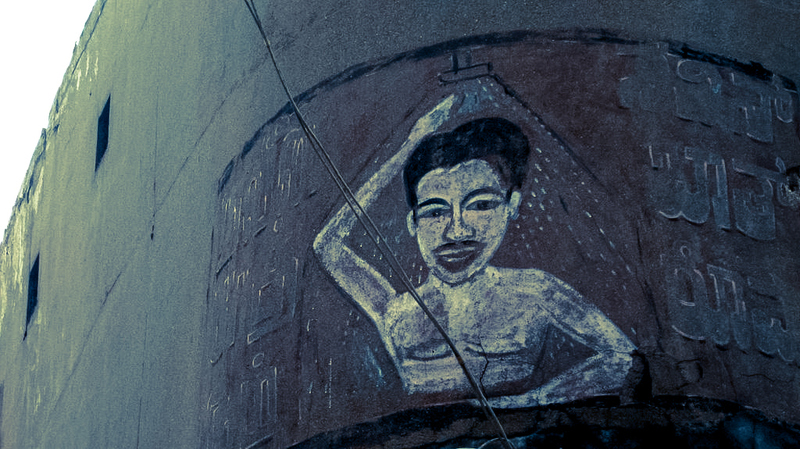 Among the many styles that were or is still popular are the ones found outside the bathrooms for truckers in the main city market section of the called Kalasipalaya. These are a few of the surviving old hand painted name boards found there. They are also called Hamams like in the old days when Persian words were added and popularly used in Indian languages. Human sounds royal, cool and relaxing. 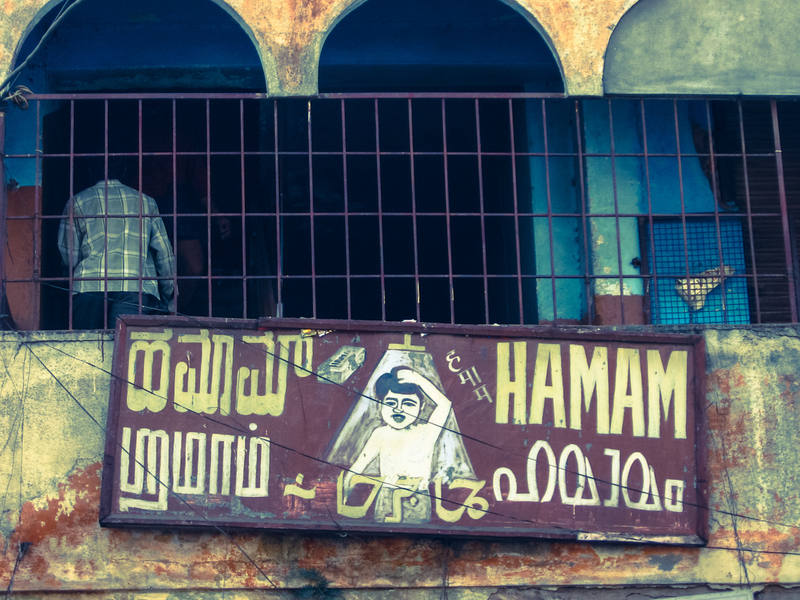 There was even a popular brand of soap called Hamam available across India and it probably still is. We add English words now to Indian languages because that is the language that replaced Persian as the connecting language on the subcontinent that has over a thousand languages and dialects. 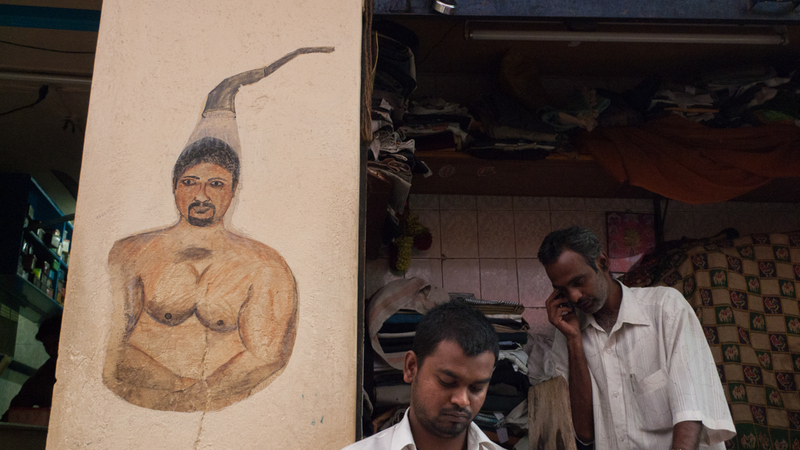 Nowadays, We call the Hamams - bathrooms. 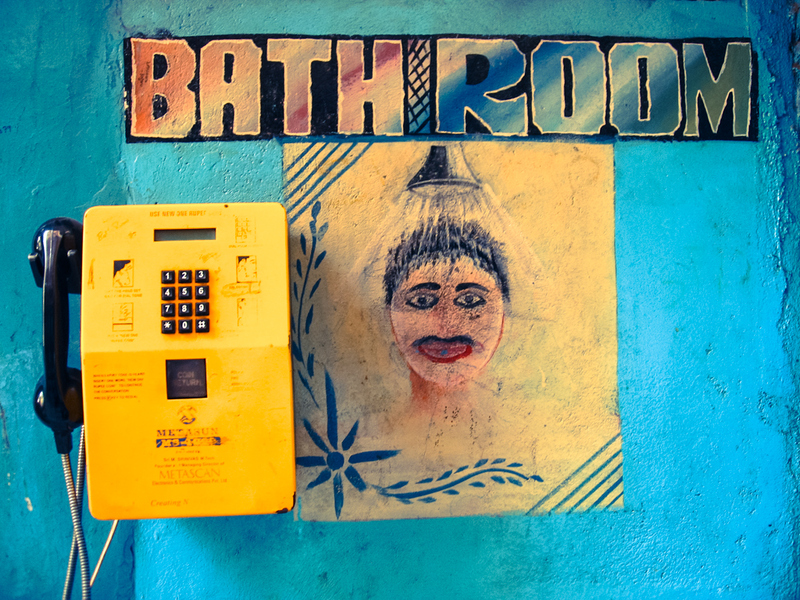 The bathrooms offer the truckers a place to have a bath instead of just the usual public toilets found in public places. That saves them the trouble of bathing in public like they usually have to do in other cities and for a nominal cost. The boards are always in multiple languages including English. The other languages are Kannada, the local language. Tamil which is spoken by a large number of truck drivers. Urdu, Malayalam, Hindi and surprisingly Punjabi is missing even though Punjabi speakers make up a large number of truck drivers in India.